Is "Active" Screentime Causing Problems in Your Kids? Home › Emotional Health, Health, Lifestyle, Mental Health, Parenting, Relationships, Technology › Is “Active” Screentime Causing Problems in Your Kids? When looking at technology, many of us are concerned about how screentime can affect us and our kids — especially our kids. Technology is rewiring our brains, and for kids, screentime, from surfing the Internet to playing video games, can have an even greater impact. After all, kids still have developing brains. In fact, the way kids’ brains develop during adolescence is vital, since it’s this time of life that sets the stage for the future. Many parents worry (rightfully so) that screentime might be causing problems in their kids. It’s true that there are some preliminary findings that indicate that there are some benefits to video games, including improving hand-eye coordination and decision-making. However, before you decide that it’s a good idea to let your kids spend hours a day playing games on their phones or tablets, stop and consider some of the negative aspects of screentime. 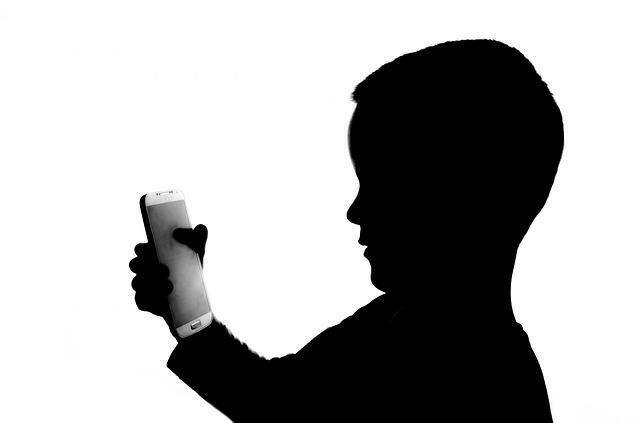 Is screentime causing problems in your kids? When I was growing up in the 1980s and 1990s, parents were worried about how much time we spent in front of the TV. Concern about sitting passively in front of the TV, as our brains “turned to mush,” was a big thing for my generation. Our parents wanted us to go out and play — or at least do something to engage our brains. [M]any parents mistakenly believe that interactive screen-time—such as internet or social media use, texting, emailing, and gaming –isn’t harmful, especially when compared to passive screen-time like TV. But in fact, interactive screen-time is more likely to cause sleep, mood, and cognitive issues, because it’s more likely to cause hyperarousal and compulsive use. Basically, the fact that children interact with games on their computers, consoles, phones and tablets, changes their perception of reality. Additionally, it can stimulate brain function in ways that can keep them “wired” far more often. Being in “game playing” mode can mean continual fight-or-flight as they try to beat the next level, and can increase irritability. I’ve noticed this in my own son. Playing a game on his phone elevates the stress level, and anything that interrupts him, or causes stress, means that he immediately reacts in a heightened way, because he’s already in a state of fight-or-flight. Not only is over-stimulation (technology in rooms, due to the light involved, can mess up sleep patterns, and sensory overload can make it harder to focus) a problem, but these screentime — whether it’s passive or active — encourages a sedentary lifestyle that separates your child from nature. Some experts recommend that you encourage your children to take regular breaks from technology so that they can function more naturally, and so that you can help them learn to like other things as well. I know I’m trying to help my son learn how to use technology responsibly so that he doesn’t wind up too addicted to his screentime. And so that he isn’t always in a state of moody irritability. Everything else going on in his brain and body right now is enough to deal with, aside from the “active” screentime. I’m not banning him completely from these activities, but I am trying to find other things to capture his interest, from encouraging him to work on his LEGO Mindstorms robot to reading actual books to going on bike rides and taking camping trips. It’s vital that he see games as a last resort rather than a first instinct. What do you think? Is active screentime causing problems in your kids?